Note:This procedure is not used in Europe. Install the balance shaft bushing using the EN-43650 installer-(1). 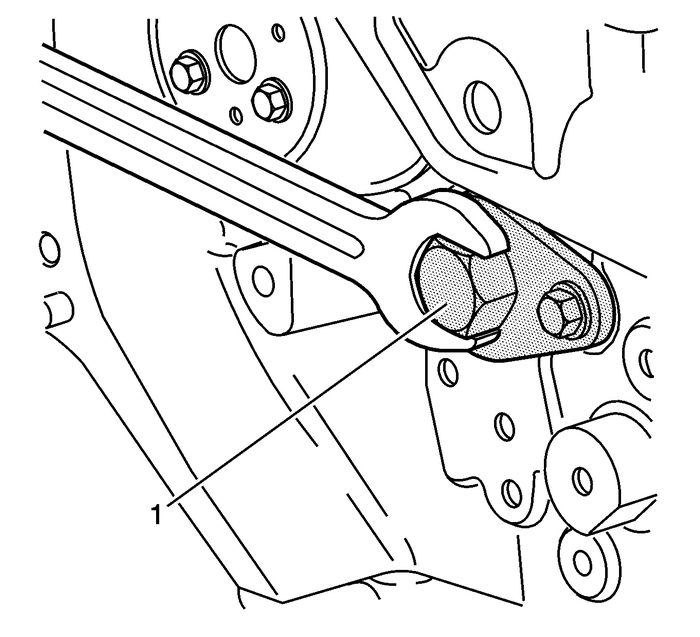 Seat the balance shaft bushing into the bore using the EN-43650 installer-(1) and a wrench.When the EN-43650 installeris fully seated in the engine block, remove it with a wrench. 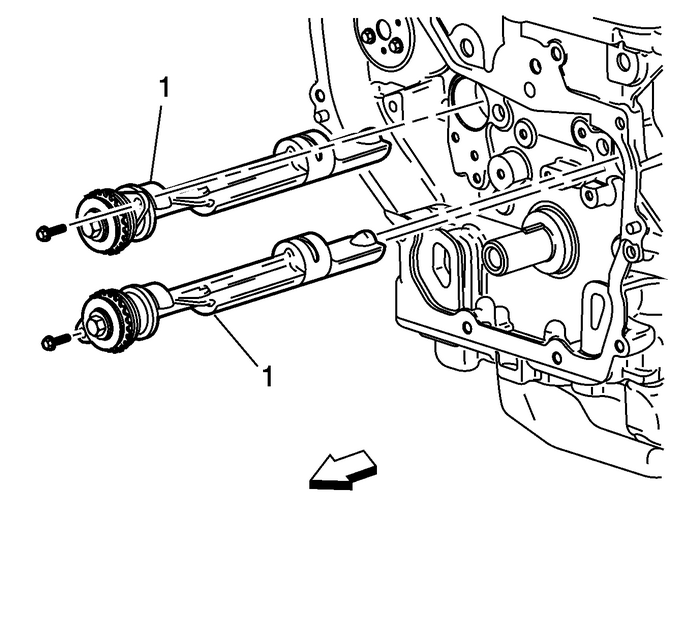 Note:If the balance shafts are not properly timed to the engine, the engine may vibrateor make noise. Place the number one piston at top dead center (TDC).Lubricate the balance shaft lobes with engine oil.Install the balance shafts-(1) into their bores. 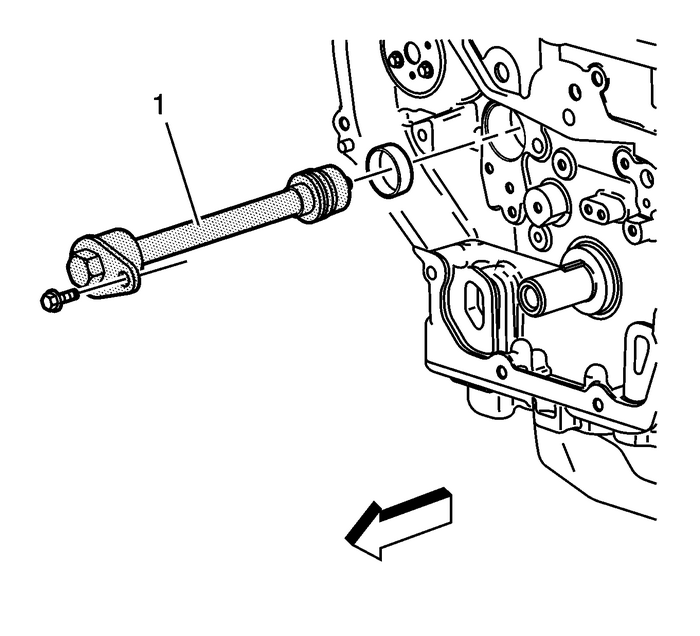 Install the balance shaft retaining bolts and tighten to 10-Y -(89-lb-in).